I am so excited to share this lovely English author’s new book called THE SEA INSIDE, book 1 in the Cerulean Songs series. Her name is Vickie Johnstone and she is the “it” girl of the moment. I mean, this Brit sure knows how to tell a great story!!! 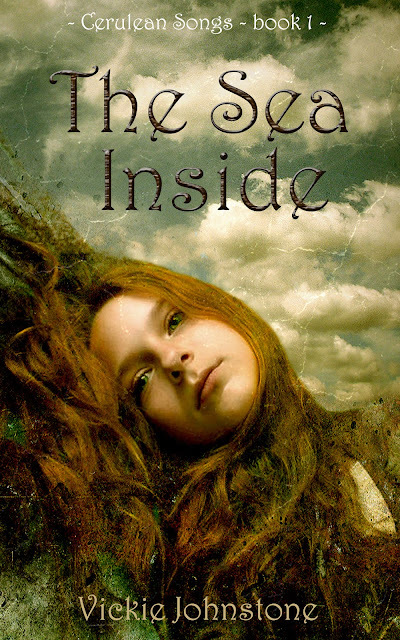 The Sea Inside is a fantasy adventure that revolves around the heroine, Jayne, who is sixteen. Following an accident, she wakes up from a coma to find herself in hospital with life-changing injuries. Visited by a mysterious woman, the girl receives a gift that opens a portal to a mystical realm. There follows many trials and tribulations on the way to Jayne finding herself and her true destiny. I started writing this book in 2009, and kept getting stuck. I always write without an outline and I couldn't think where to take the plot, so the story got abandoned for a while. I added bits over the years, eventually finishing it this year. Horrah! For the first time I had three beta readers, because I was not confident about the book. Their reviews are below. The beautiful cover photo is by Maja Dražić. I found her work on Deviant Art. I was blown away by the image immediately because of its expressiveness and the longing in the girl’s eyes. There is also a dreamlike quality and I like the texture. As soon as I saw this image I just thought that’s Jayne! The girl awoke in a cold sweat, her T-shirt plastered to her chest and stomach. A hazy impression of the dream lingered in her mind; water and something blue sparkling in sunlight. She remembered shooting pains in the soles of her feet as if daggers pierced the skin from myriad directions. Jayne blinked and used her arms to raise herself up into a sitting position. The room was beginning to brighten as light struggled to flow through the heavy, dark curtains. It must be morning already, she thought, rubbing her eyes, but the ward was silent. The two patients at the other end of the room were asleep, as was her friend, Charlotte, who lay in the bed opposite. It was strangely quiet. Careful not to wake anyone, the girl reached across the blanket for her book, which lay downturned in the very spot where she had left it before dozing off. She quickly located the last line she had read. Upon turning the page, something shifted along the edges of her line of vision and a shadow cut across the floor. Jayne jumped, feeling an ice-cold trickle across the surface of her skin. The ward was eerily silent and no footsteps sounded, yet the shadow swept closer. The book dropped from her hands. “I didn’t scare you, did I?” asked a face, which seemed to appear suddenly at the end of the bed. It wore a thin smile. Jayne glanced around the ward. None of the patients had stirred, but then the lady had walked all the way to her bed without appearing to make any sound at all. The air was so silent and still that the girl felt nervous. The older woman continued to smile, the grin etched deep in the folds of skin around her mouth. Lines creased her eyes, which glinted an odd colour and seemed to be years younger than the rest of her face. She continued to stare, to the girl’s unease. “Perhaps I should call someone?” asked Jayne, glancing around. “Yes,” the girl replied with a sharp grimace. “I was, but I can’t talk about it.” She felt odd for saying anything at all, but there was something about the stranger that made her want to speak, despite her edginess. “I understand,” stated the woman, opening the dark, woolly bag that she carried. It was quite beautiful and had blue shapes of various sizes embroidered all over it. Jayne leant backwards against the headboard, wondering whether to press the alarm button by her bed. She shivered for no reason, and then told herself there was really nothing to worry about; the woman was obviously harmless, but clearly eccentric, and perhaps lonely. Raising her eyebrows, Jayne stared down at the bag in surprise. “Don’t be frightened. I bring you a gift. Please take care of it. I am too old to need these things anymore. Remember that time is all we have and it never stops,” breathed Sophia. To Jayne’s horror, the old woman then stroked the back of her right hand, which lay limp on the top of the bed cover. Her wrinkled fingers were icy cold. The young girl’s eyes raced up to the old lady’s face, but she was gone. She had simply vanished into the air, as if she had never been there at all. Jayne glanced around the room, but a hush covered everything. No one moved in the ward, no shadows played, and the stranger was nowhere to be seen. The girl rubbed her eyes, wondering if she had blacked out again for a while. It often happened nowadays if she became anxious. Shuffling under her blanket, Jayne leaned carefully over the side, but there was nothing on the floor or beneath the bed. She frowned. Light was beginning to stream through the curtains and she expected everyone to wake up soon. Where was the nurse? In that moment, Jayne spied the small, velvet-looking black bag, sitting in the folds of the blanket. A black cord secured the top. She stared at it for a long time before deciding to pick it up. It held secure in a knot. Taking a deep breath, the girl tugged it open and was greeted by a familiar smell, which reminded her of holidays spent at the beach when she was a child and her parents were still alive. “Wet sand and the sea,” she muttered to herself. As she tipped it, an odd-shaped piece of glass tumbled out and glinted in the sunlight peeking through a crack in the curtain. On closer inspection, the girl found it to be a fine, small crystal of a shimmering blue and quite beautiful. “Morning, sleepyhead,” Charlotte called out from across the room. She had just woken up and was offering her usual friendly smile. Jayne pushed the crystal back into the soft bag and shoved it under her pillow. “Hey, sleepyhead yourself,” the girl replied, but her own smile felt shaky. She still carried the woman’s enigmatic smile and perplexing words in her mind. 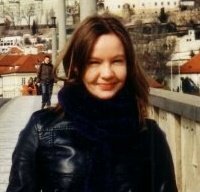 Vickie lives in London, UK, and works as a freelance layout sub editor. Her first book, Kiwi in Cat City, was written in 2002, and she has scribbled stories and poetry all her life. 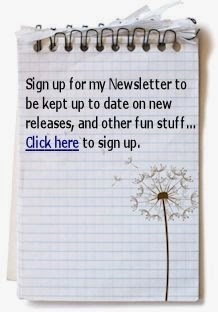 Since the beginning of 2011, Vickie has written eleven books and is currently working on some new ideas. Her loves include cats, reading, films, travelling, rock music, Castle, The Walking Dead, tea, the sea, sleeping and Milky Bar. The adventures of a magical cat and her friends, set in animal-inhabited worlds (written for readers aged 9-14). The books contain illustrations by Nikki McBroom. Kiwi and the Serpent of the Isle was a finalist in the Indie Excellence Book Awards 2013. Comedy series set in Crazy Name Town, starring Detective Smarts and Officer Dewdrop (written for readers aged 10 up). Book 1 is free everywhere but Amazon UK. A comic fantasy starring two guys, a girl and a streetwise Labrador who swears too much (for readers aged 16 up). Written for NaNoWriMo 2011. Travelling Light (poetry - free everywhere but Amazon UK). 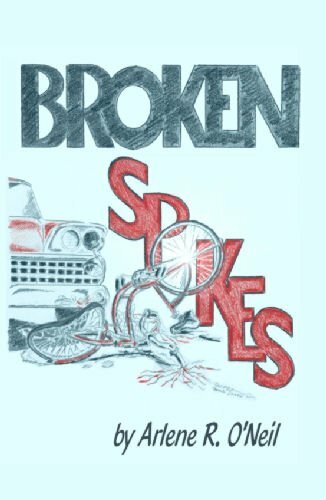 Arlene R. O'Neil’s book Broken Spokes is available on Amazon for 99 cents for just one more day. Don’t miss your chance to read an excellent for close to nothing. Broken Spokes is more than a well-written, interesting read. It is an inspirational collection of the memories of a courageous child who, in spite of physical and emotional suffering, grew into a compassionate, loving and valiant woman. Crippled at age six, the author begins an odyssey which will consume her entire life. Through her sufferings, she finds a way to heal others, and in doing so, saves herself. This book really touched me. I could relate to much of the sadness even though my story Home Wrecker is very different. I think both our stories were written from the heart. I could feel that by reading Broken Spokes. This book pulled me right in and broke my heart right from the very start. I could really see this child in front of me. It was so well written that I found myself getting a bit dizzy while the story was progressing. It is a powerful story that I read in just two sittings. I didn't want to put it down because I needed to know that this character was okay. I have read some books where the main character doesn't really interest me but that was not the case in this story. There were so many lines in the book that I wanted to highlight because they were so profound. I am glad that I read this book because it moved me and made me see how lucky we are for all the blessing in our lives. It makes you realize to NEVER EVER take your life or health for granted! This was also my first in, “Dads can do anything.” At least mine could. I want to share a couple of great books with you by a wonderful person and talented writer. Since her name is Lisa Day we will call this Lisa’s day!!!!! Childhood for Clint was wonderful until the day his mother remarried. His new stepbrother George was pure evil. The stepbrother’s only goal was to make sure Clint’s life was a living hell. It never occurred to him that Clint would grow up. Clint Hawks never forgot the misery and pain he suffered at George’s hands, and his every thought focused on revenge. Along comes Samantha Culpepper a sweet, young, innocent, bride to be. Inexperienced Samantha becomes the pawn in Clint’s game of revenge. When the score is finally settled she’ll have enough experiences to last a life time. But, will she still want one of the stepbrothers? 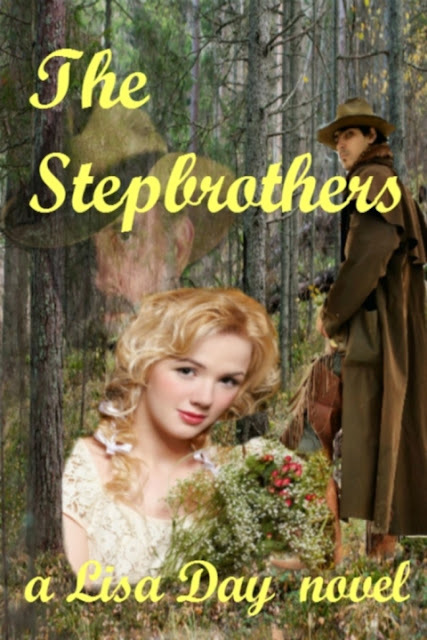 Lisa Day's book The Stepbrothers is not what I would typically read but I was pleasantly surprised. I was interested in the characters from the start and felt like I was taken back in time. The writing was crisp and clear. I could almost see the landscaping. It was a nice diversion and the dialog was easy to follow. The main character Samantha made me laugh. I enjoyed her sense of humor. She reminded me of someone I know and love. Is a story about a woman who raised in an orphanage never was given choices about her own life, and when old enough to make choices Cassie was too afraid to. After marrying and moving to a homestead in the wilds of Kentucky, her home is attacked by Indians. They kill her husband. They give her son Timothy to another woman, who has no children of her own, to raise. Continually, Cassie will struggle to regain control of her son. The warrior Wolfkeeper now has the responsibly for her. He considers her an enemy. Another brave points out Cassie’s physical attributes to him. He becomes fraught with mixed emotions, and his desire for her grows. Being wise enough not to be rush into something he will regret. Wolfkeeper takes his time and sorts out his true intentions. He will eventually decide he wants a future with her, and he begins an effort to change her opinion of him. He has to stop the pain he has caused her. How does one undo the undo-able? 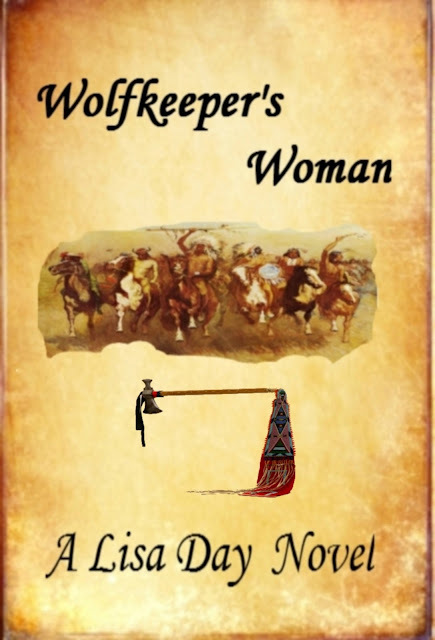 Wolfkeeper’s Woman takes you to an entirely different era. A time period that I m not that familiar with but as I read the words from the page, I could see the images as if I were watching a movie. I felt emotionally involved from the beginning. This unimaginable tale seemed s true to life that I hurt for the main character Cassie all the way through. She was a woman who always had to learn to make the best of every situation. She just had to make do with what she was given. This story moved me and disturbed me, at the same time. Still, I had to read on. I needed to know what would become of this innocent lost woman ho had nowhere to turn for help or comfort. Wolfkeeper’s Woman kept my interest all the way through. “The knife blade in his right hand seemed to glow as the sunlight danced reflectively off it. Ever so slowly, he advanced toward her. He tried to maneuver her into the corner near the foot of the bed. Fateful Night is book 1 in the What She Knew Trilogy. 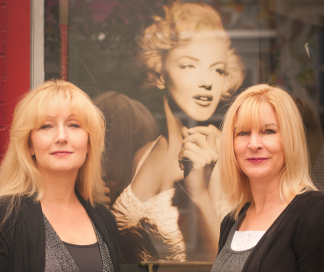 Please join on Facebook for an evening of fun, prizes and little known facts on Marilyn Monroe. As we began to play with the idea of writing an entire book around a "What if?" question our excitement grew. 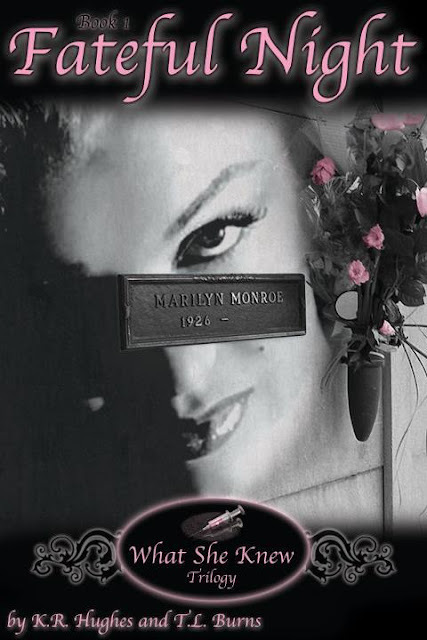 Who do you know that doesn't get into the conversation of did Marilyn Monroe kill herself or was she murdered? No matter what side of that question you're on, the debate is always a good one. In that light, we decided to see if a book could be written about her and 'what she knew' about politics, the mafia, and Hollywood. What inner workings and connections did they have in common? The question was so intriguing that we decided to carry it to its logical conclusion. Even though it was well known that she'd had an affair with John Kennedy, no one really understood the depth of that relationship or where it could have eventually lead them both. She knew too much and was far from being the “dumb blonde” she portrayed in her films. After all, in her own words she could hardly play an intelligent role and be taken seriously with her looks. So she did what any woman with a hundred and sixty IQ would do - she played a lifetime role and played it well. Until one fateful night when she revealed that she knew something she shouldn't to someone who needed that information kept secret. It has lately been revealed that she was murdered and in that light we've written our own version of "What She Knew." This book is dedicated to our dear friends who, like Marilyn, left us too early. May God hold you forever. Joseph Kennedy tapped his finger on the desktop while he listened to the irate woman on the other end of the receiver. When she finally took a breath Joe snagged his chance. Joe started to form a reply as the sound of the receiver slamming down and the buzzing of a dial tone droned in his ear. He replaced the instrument in its cradle, scratching his head as he rose from his desk. His secretary poked her head through the doorway. Frank stood in the casino holding a beautiful blonde on one arm and tossing dice onto a craps table with the other. Laughing at his roll the woman stepped out of his grasp just as Sam Giancana walked up. “Beat it doll,” Sam snapped. She stared at him and gave Frank a lingering kiss before she left. “Looks like you’re losing your touch there, Sam.” Frank grinned as he threw the dice over the line on the table. Sam snarled. “Never mind about her. We have business to attend to.” As the dice rolled to a stop the crowd clapped, and Frank made a mock bow as the chips were pushed toward him. “Not now, I’m winning.” Frank gave the neatly folded orange handkerchief in the breast pocket of his tux a pat and winked at the mobster. “Now.” Sam grabbed Frank by the lapels. Frank looked down, took hold of Sam’s beefy hand and said, “Hands off the suit.” Gathering up his chips one at a time, Frank said between clenched teeth, “This better be important.” Glaring at Sam, Frank pocketed the chips and followed him out of the Sands. Marilyn sauntered over to her lover, current president, John F. Kennedy and rubbed her leg invitingly against him. “Are you enjoying the party?” she whispered, giving his ear a caressing lick. Marilyn smiled at Sam as he poured himself another highball and offered one to Frank. “Mmm hmm, I am now,” Jack mumbled as his lips pressed her ear. He encircled her waist with one arm and pulled her onto his lap. “Let’s go for a walk, lover, just you and me.” She kissed him long and deep, leaving the heady flavor of her martini tingling on his lips. “Yes let’s.” He ran his hand up the side of her thigh before he allowed her to stand up.